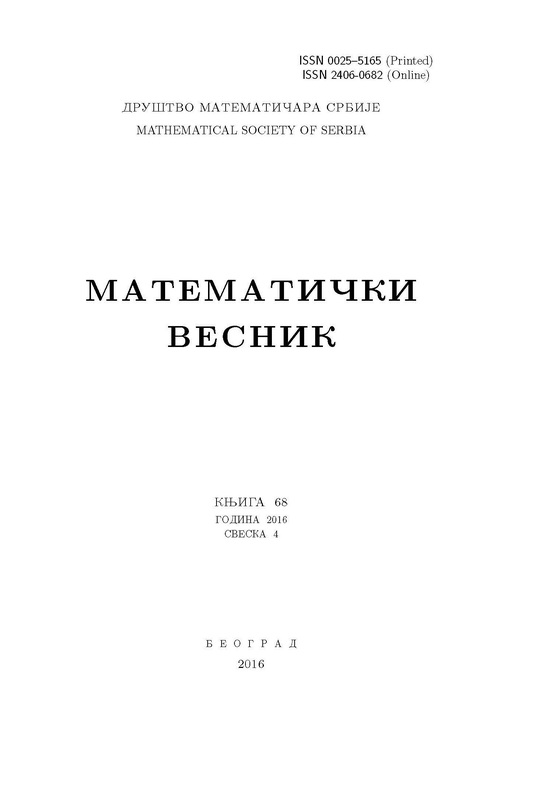 MATEMATIČKI VESNIK is a research journal published since 1949 by the Mathematical Society of Serbia. The journal publishes original papers in mathematical sciences and is, in general, published quarterly. Matematički Vesnik is a fully Open Access journal with no fee charges and is also being published electronically in the ELibM (Electronic Library of Mathematics) of the European Mathematical Information Service (EMIS) as well as the Electronic Library of the Mathematical Institute SASA.